The development of an individual through the history of all times, from the myth to the hero, from life to death, from belief to glory, from the miracle to the technology, from the power to create to the power to give, from the immortality to the source of all that is = have been = will be. Personal development and self-knowledge. What for? Article value : 9000.00 EUR ( The article value is calculated based on the value assigned to the information and references to knowledge provided and how high the potential is that a reader would make tangible use and reach tangible benefits out of it. How many times in your life you felt the impulse of fighting against something? May this impulse be natural in you or coming out of interaction and circumstances in which other individuals, culture or organizations or governments were involved, the reason doesnt matter but your will to fight for something, a goal, a transformational impulse, for your own life, the life of your family, that one of your own community, culture, nation, continent or planet. Eventually along the road one gets wiser, and instead of fighting one find other form of solutions, less conflict, less aggressive, less destructive than war. One understands the importance of peace, for the sustainable development of own family, community, culture, nation. Unless life conditions are cared and developed, improved, heritage became difficult to achieve. Peace, is a wise solution, while the strategies of peace need to be wiser than deception or power based, still military based peace. Which alternatives has a continent which lives in continues conflict that one of an empire? This question may have made Napoleon, Carlo Magno, or Julius Cesar, The Yellow Kaiser, or Saladin and maybe many others. How an empire, could bring peace to the known world. Obviously skills for management of such a great enterprise would be necessary. But was that ever enough? Religion have been staying longer than empires and despite differences between beliefs and history of each religion, most of them agree into being love (in any of its forms) the ultimate foundation and nature of life, human kind and divine order. While the warrior turned his/her/its eyes to peace, became wiser on time, found the challenge of sustainability of the heritage, of peace. At that point in time became a believer. But to belief in what? Religious guidelines are not enough, science is necessary, while the science of being human is more an art and this art is based actually on the continues self-exploration of human nature in own self and in own culture, in history; the endless or limited search of an answer to the questions why? what for? where from? for whom? to whom? when? how ? and so on but what and who i am and why i am here? have a great value, and the individuals or communities that can answer them are a un-valuable asset for humanity. Science and technology might give solutions but are also changing in time and even peace could be for certain time through them sustained as a promise, the human nature still the same, which actually is that one that created the original quest for life care, family, culture care, heritage; through the warrior attitude that turned to become a wiser man, and a believer. Now, the impermanence of time, and the changeable nature of all that is, shows that unless human kind changes (beyond the natural changes of science and technology, or social events (history), new social structures and natural culture development) by self-awareness, consciousness and self-responsibility, the attitude and use of new technology and social or cultural concepts will be as aggressive and self destructive as any time point in the past. Ig human does not change, technology for peace would become by need into technology for war. In the exploration on human nature, the believer, that understands science and technology, becomes a mystic when reaches the understanding of self responsibility and capacity of choice and creation of own life, out of the quantum nature of all that is=have been= will be. The mystic is the religious rebel, that one that goes beyond the frames of religion, and of science or technology, who anchors own will in a heart based consciousness and searches into the human nature as foundation for knowledge, change and corner stone for species survival (ideal, super-vival, wealth, heritage). When the mystic goes beyond the conceptual perception of life, into the tangible experience of union with the source of all that is, and become free of own self created dogmas, may realize that human consciousness is capable to create miracles, or events that are nowadays well described as possible and feasible for human consciousness. 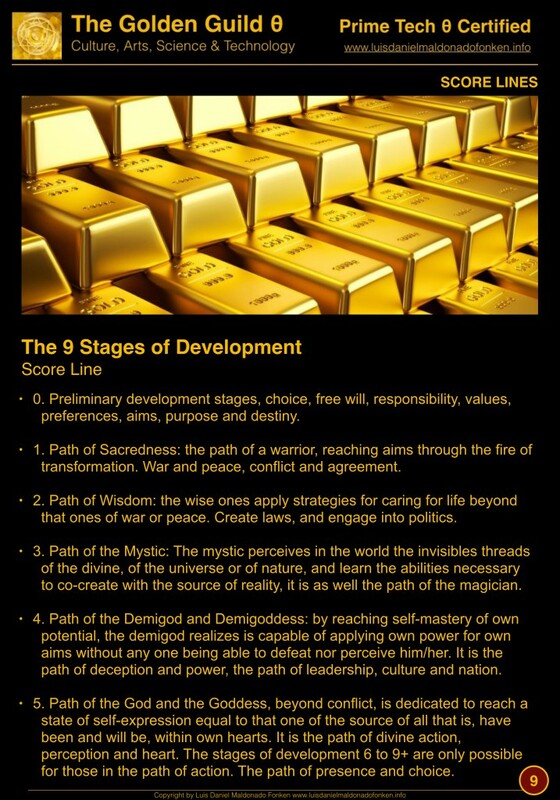 At this point in time, the development of the mystic reaches superhuman powers and clarity regarding possibilities that are beyond individual needs to transformational changes that human kind, a family clan, a species, or culture, nation or plane, eventually a complete realm, or all that is=have been = will be, could experience out of own journey and action in daily life. The mystic became a demigod. May the search for eternity, long life, immortality be the transformational force dedicated to heritage, life care, culture, peace, family care, personal and spiritual development, the demigod might become known by history as for its/hers/his, consciously-registered by history and by people, deeds. In some other cases, the demigod might become a tyrant and engage into power based development of own culture, followers or own self as super-villain. May this be the last stage of development of the warrior that became wiser, later scientist, and them mystic, to turn into a demigod? May any of you have experience that status just for an instant? that feeling of endless power? imagine if that feeling would be there for eternity? and not only a feeling but tangible ability to create with it. How many dedicated to spiritual and personal development have reached that potential stage of self-awareness, clarity, consciousness, knowledge, and capacity of manifestation, creation, tangible transformation of the world known and unknown, according to own will? Where comes the question of ethics, demigods create cultures and religions. Where the questions about rights, demigods created laws and governments. When the question about wealth, demigods create economies and property. When the question about history, demigods create heritage. May be this the final solution? May the demigods lead the world into peace or war? May be here again appear the need of a warrior, who cares and intents to stop or change a demigod but not reaching his/her/its aim in a life time? When the demigods are not to be stopped, by any war, wise agreement of peace, or mystical powers, what is left? Unless greed, power based behaviour, fear and jealousy turn a demigod into a tyrant, the path of the demigod is that one of reaching the ultimate state of union with the source of all that is = have been = will be, becoming own self expression of the divine source of all that is = have been = will be, the path of the god and of the goddess in union with source in own heart. May be this process be the ultimate solution for peace? how many skills and abilities would be necessary to reach, develop, discover, unfold, activate, train, support, educate, cultivate? The path is long, our aims are clear, but where the next step is planned the next spiritual and personal development stage is also needed. If you do not stop to enquire, your path will continue, to the source of all that is = have been = will be. May your heart be in peace, along your journey.